The crisis in the Peoples Democratic Party deepened on Thursday with the inauguration of five committees for the conduct of another primary for the 2016 Edo State governorship election by Sen. Ali Modu Sheriff. This is coming barely four days after a similar primary by the Sen. Ahmed Makarfi-led Caretaker Committee produced Pastor Osagie Ize-Iyamu as the party’s flag bearer for the same election. 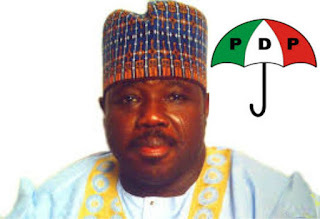 Sheriff who inaugurated the committees, cited Section 50(1) of the PDP constitution which he noted was derived from the provisions of relevant sections of the Constitution and the Electoral Act, as basis for his action. The committees are: Screening, Appeal, Ad-Hoc delegate, Ad-Hoc delegate appeal and the main Gubernatorial Primary. Sheriff explained that the primary will hold on Wed 29th June, 2016 in Benin, the Edo State capital. He accused the Makarfi-led committee of importing “Fulani herdsmen” to occupy the party’s National Secretariat.